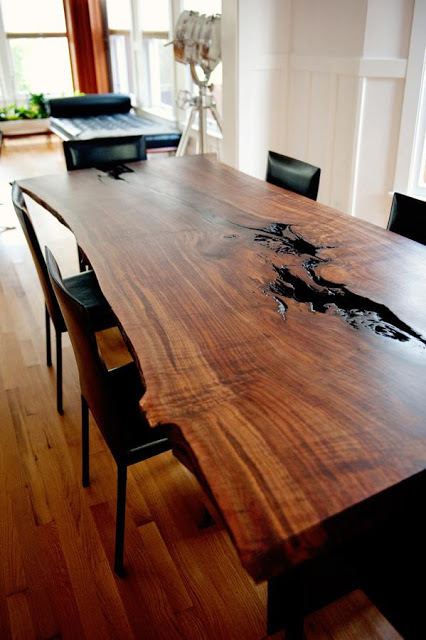 Live edge refers to furniture that incorporates the unfinished, natural edge of a piece of wood, which can make for a gorgeous organic touch in a home. I've always appreciated wood with personality, complete with knots, burrs, and interesting grain work. Here are a few of my favorite images. Man I need to get a home soon so I can put some of these into practice! 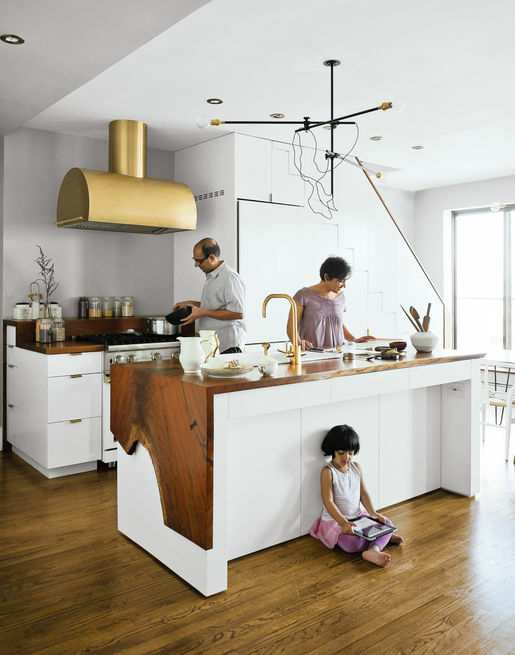 All of this Brooklyn apartment is stunning, but this wood waterfall counter is my must-have. 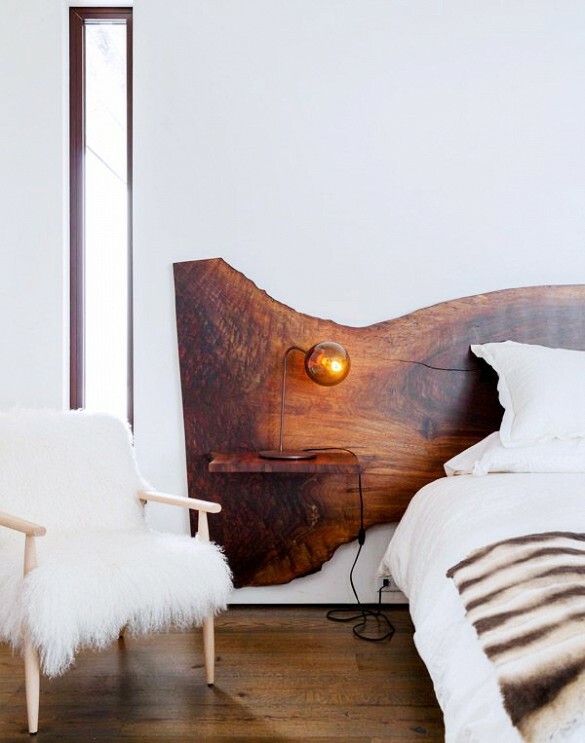 Pearson Design Group is responsible for this lovely bed. I like that this option preserves the piece of wood, so you could use it for something else down the line. 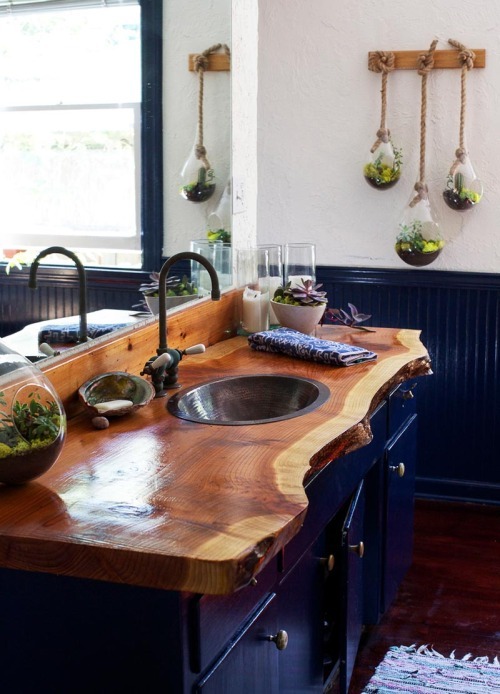 Design Sponge has the scoop on this bathroom sink. I don't hate the hanging terrariums either, which are a nice mix of delicate and rustic. 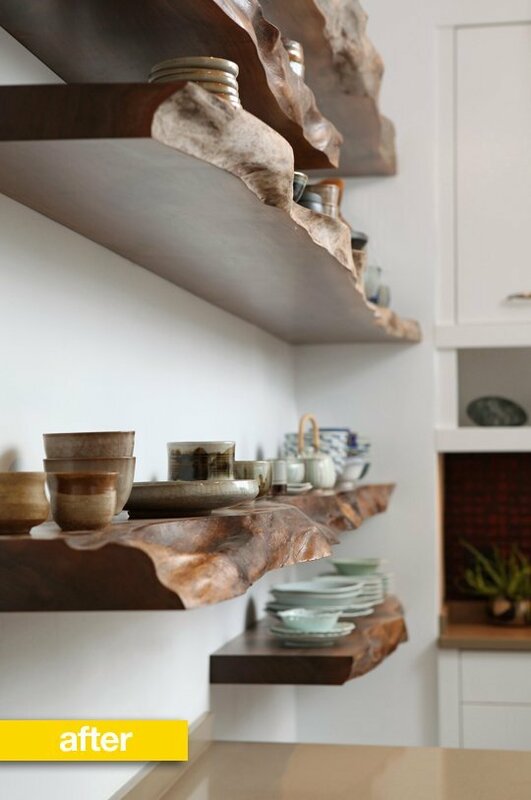 These shelves are referred to as "raw edge" on The Kitchn. I don't care what you call 'em, they're a wonderful showpiece. Apparently this piece was salvaged from the front lawn of someone's house in the San Francisco Bay...if I get so lucky, you can be sure I'd ship it home.